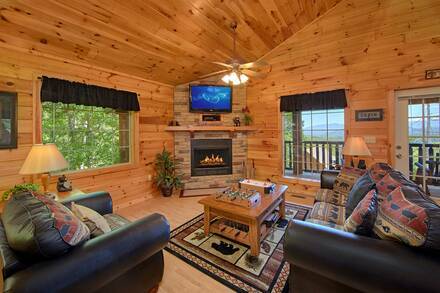 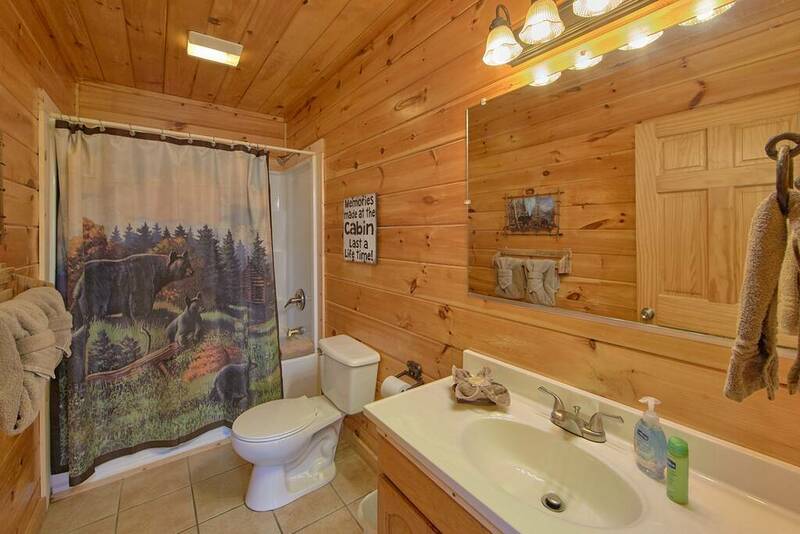 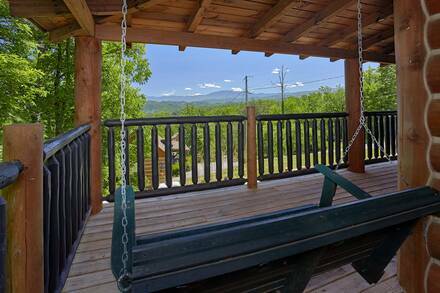 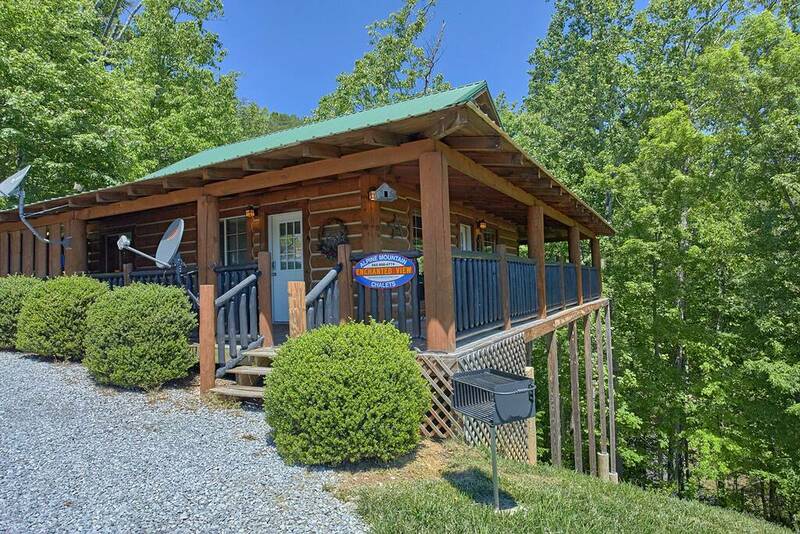 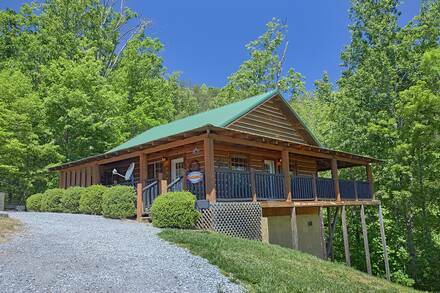 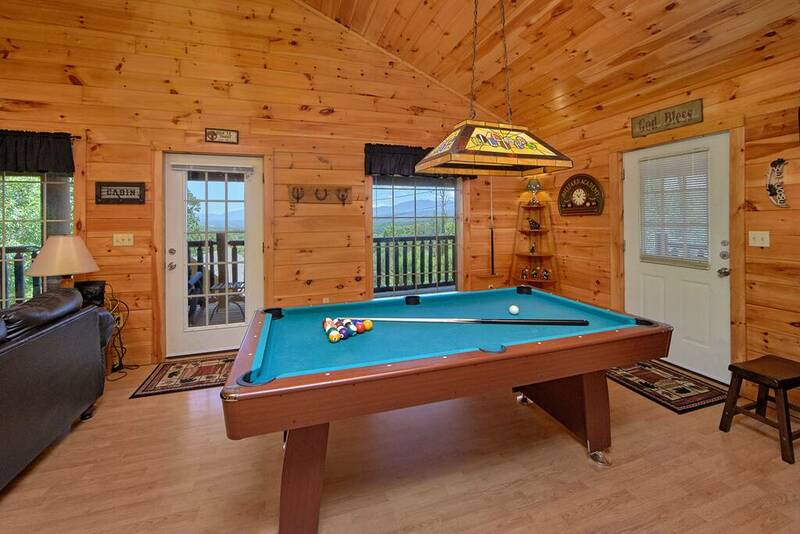 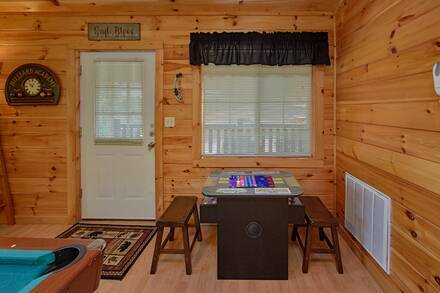 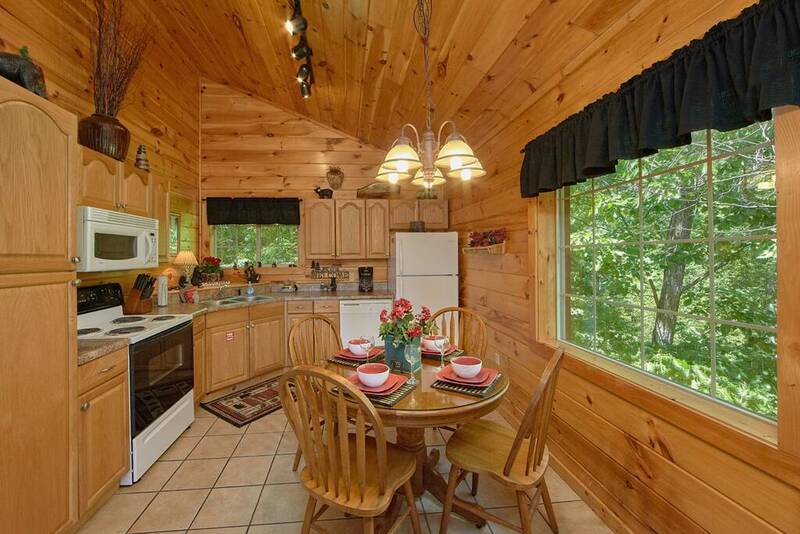 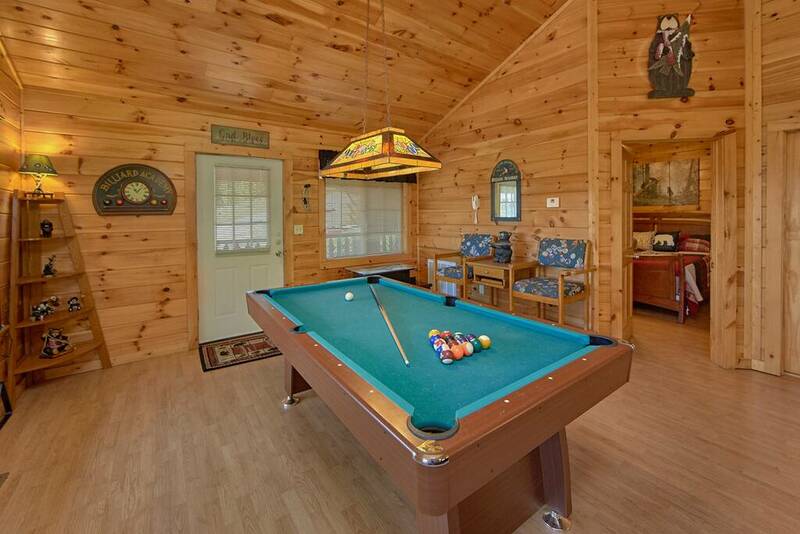 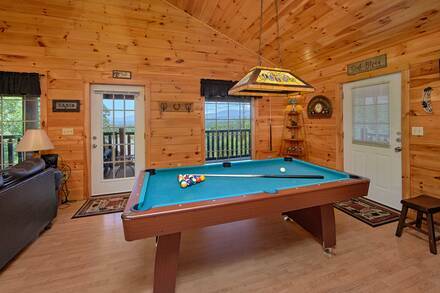 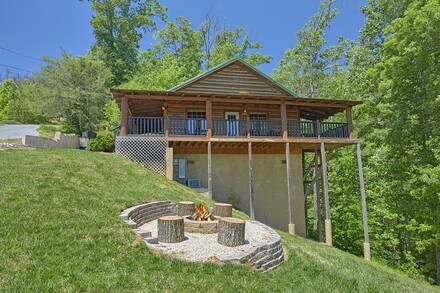 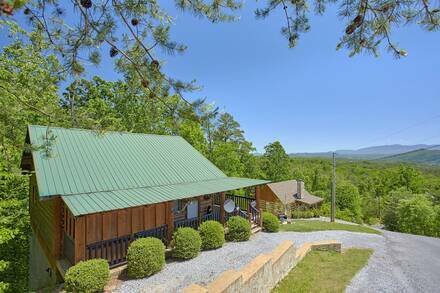 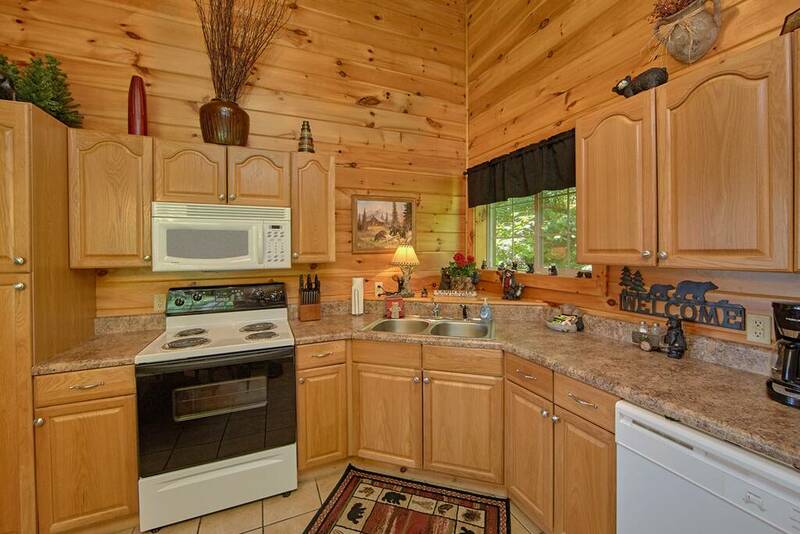 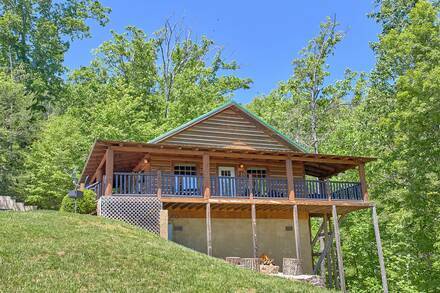 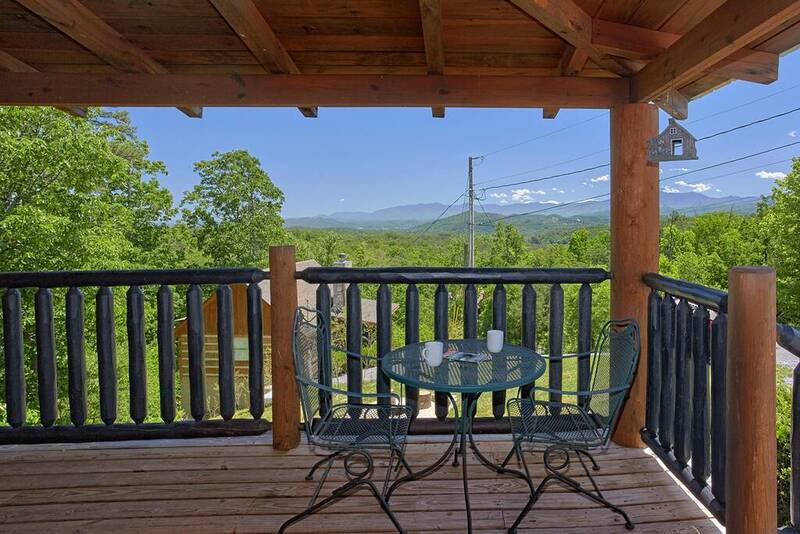 This eye-catching one-bedroom cabins in Pigeon Forge, Enchanted View lives up to its name. 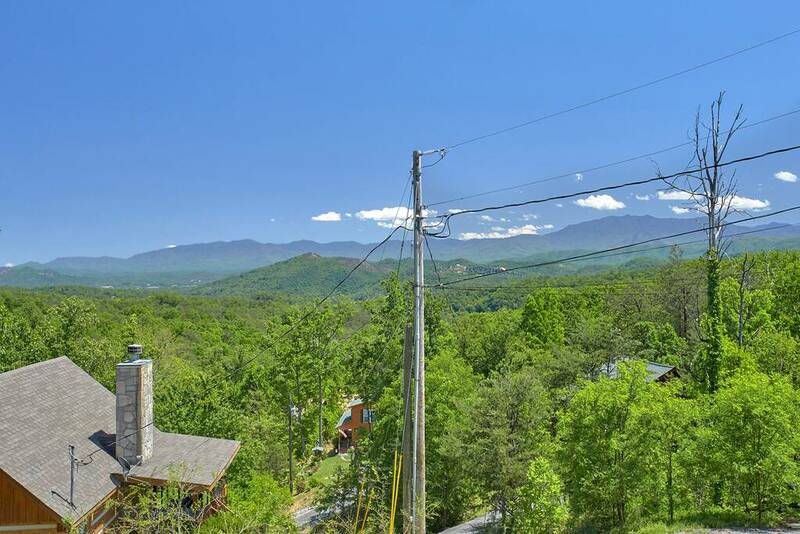 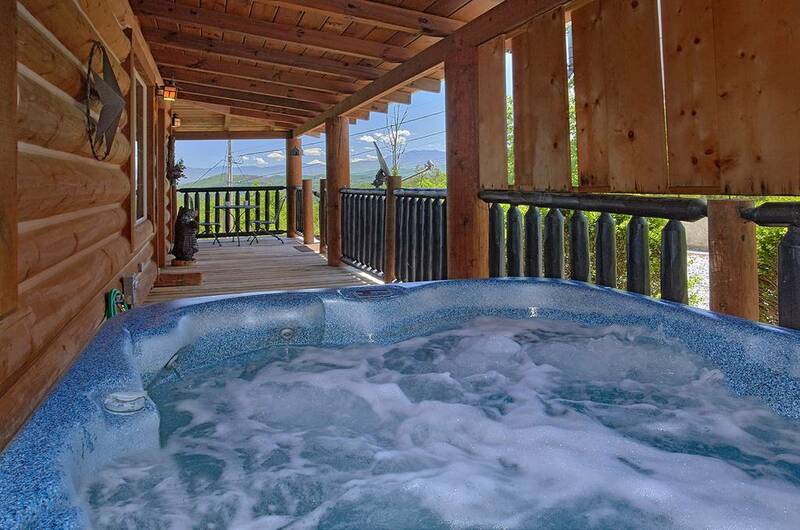 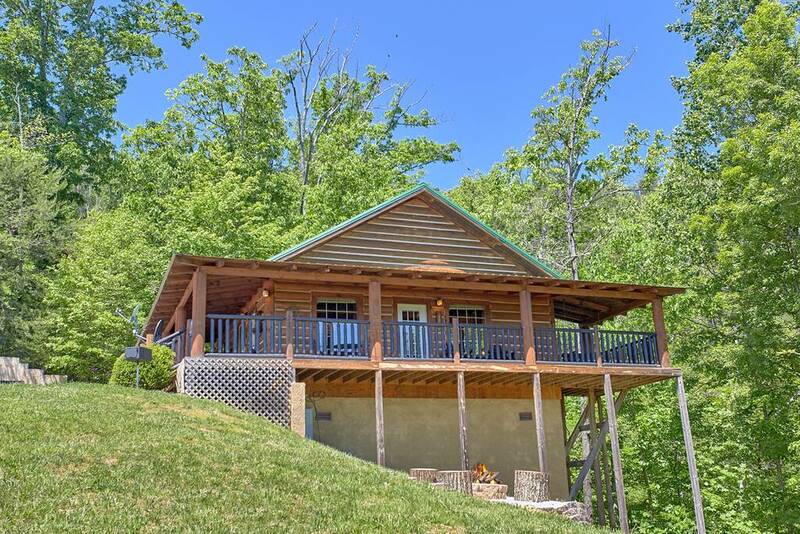 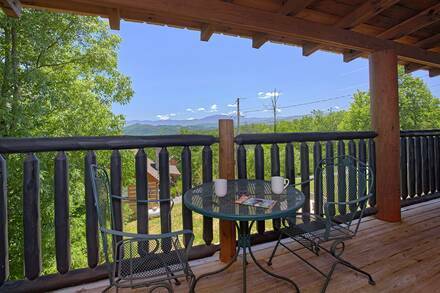 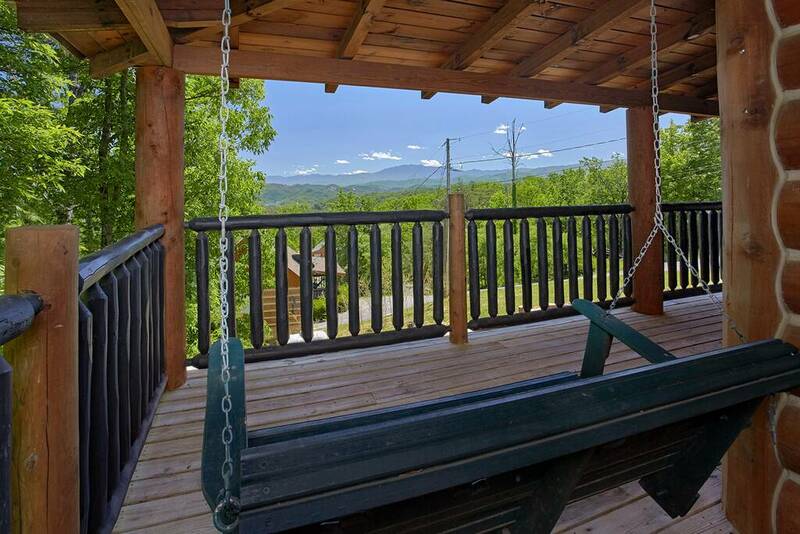 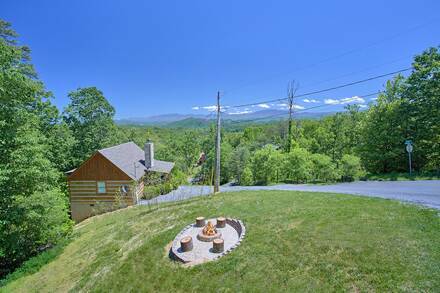 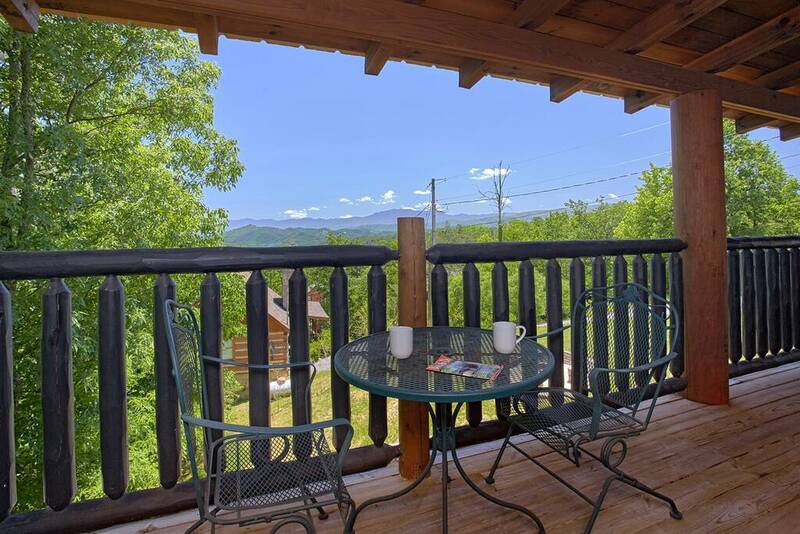 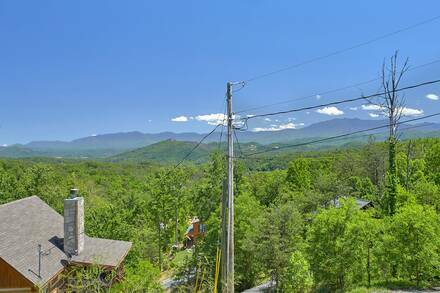 The wraparound porch offers spectacular views of the Great Smoky Mountains, while the spacious interior makes this a great choice for a honeymoon cabin or the location for the perfect anniversary trip. 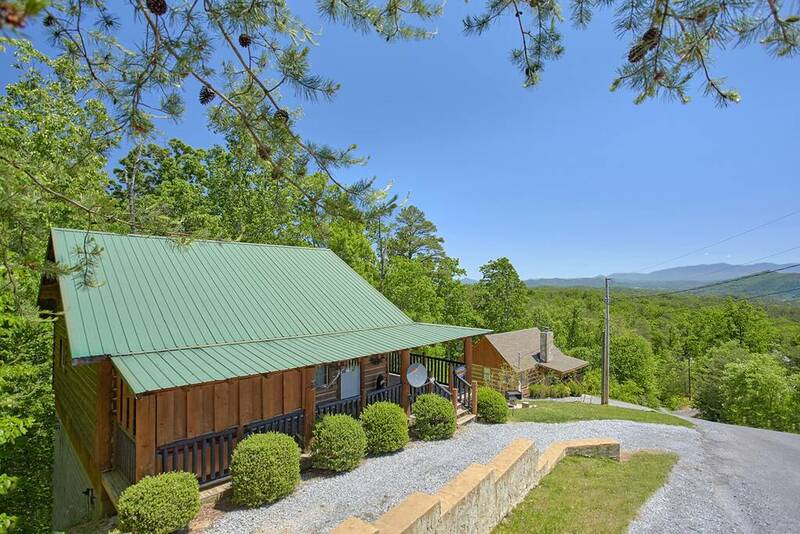 A light and expansive interior greets you upon entering, with high ceilings and an open floor plan making this a beautiful spot. There is a stacked-stone fireplace in the living room, which can be enjoyed from the plush leather sofas that are great for cuddling close. 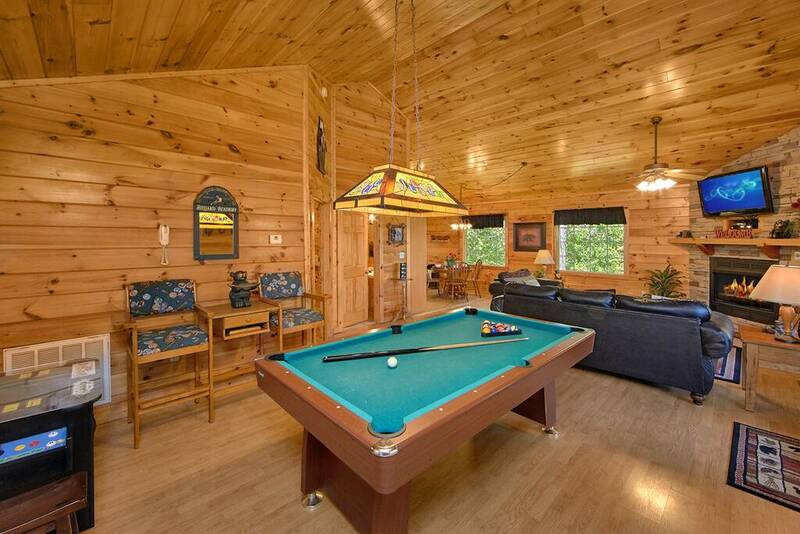 Watch your favorite romantic film on the large flat-screen and, if you are a competitive pair, the pool table is perfect for a playful wager. Head outside as the temperature drops and enjoy time together in the jacuzzi. 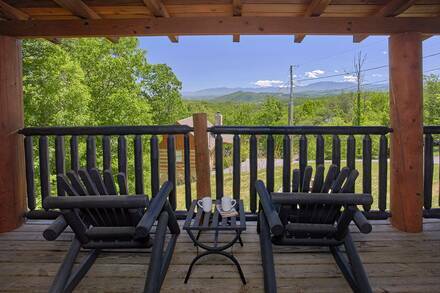 The large patio also affords front-row seats for Dollywood’s summer fireworks at 9:30 every night. 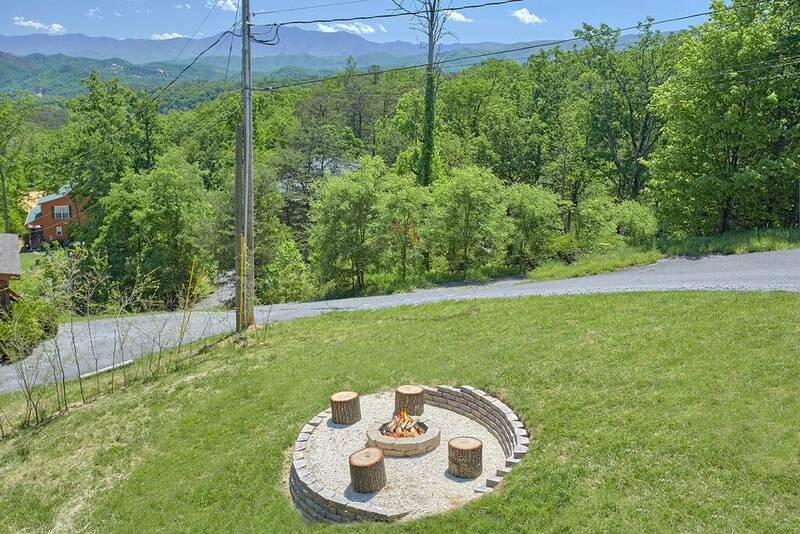 Whether it is cold outside or not, set a few logs alight in the fire pit and pull the special someone close to you for warmth. 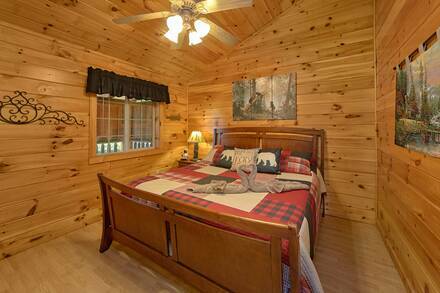 The master suite may keep you in bed longer than normal as you relax in the king-sized bed. A flat-screen television and full bath are nearby. With a full kitchen as well, you can enjoy plenty of alone time. 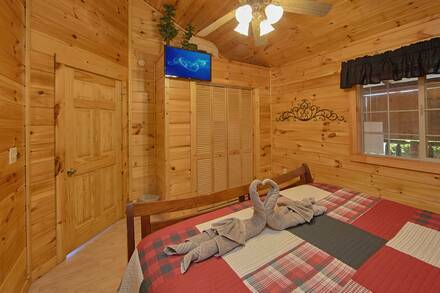 If you are bringing children, there is a sleeper sofa, plus this is one of our pet-friendly cabins, so your pup can joy you on your special trip. Book now as this cabin is often unavailable!